My husband got a new tent for his birthday! So what’s the logical thing to do at nine o’clock at night when you have to wake up at five? Set it up in the living room, of course. 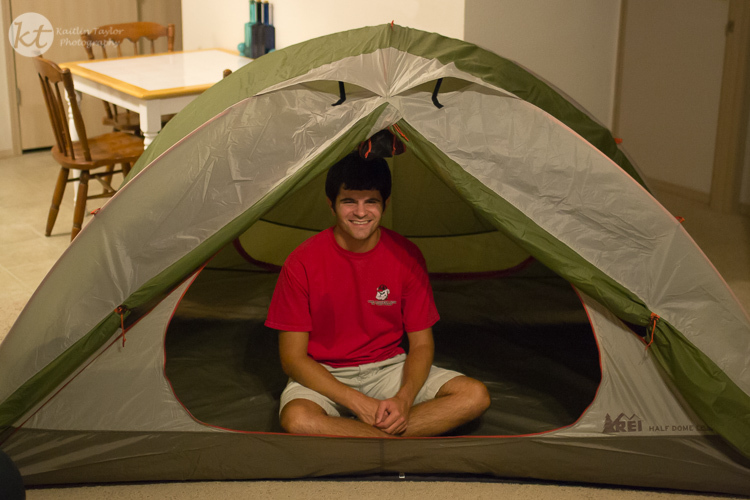 Thanks to all our friends for the recommendation on the REI Half Dome. We’re excited to get out camping!